Federmal™ - Providing amazing products to slow the aging of your skin. A unique proprietary blend and our very best seller. A penetrating serum that we especially formulated for all skin types and all areas of the body that need more protection from sun damage. Newly added to our store Neova Refining Eye Lift visibly repairs signs of skin DNA damage from the sun, and prevents its return, with its Copper Peptide Complex and DNA CoFactor formula. 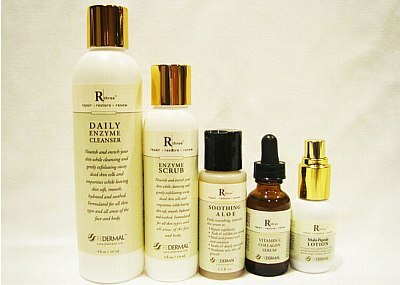 R three™ Multi-Peptide Lotion does just what the R three stands for: it Repairs, Restores and Renews skin. It helps to repair and prevent cellular damage from free radicals, increase new skin/ collagen cells, improve the hydration, texture, tone and firmness of the skin, reduce fine lines and inhibits development of fine lines, and protect the skin from environmental damage. R three™ Daily Enzyme Cleanser and R three™ Enzyme Scrub were developed to encourage and stimulate our skin’s natural process of exfoliation. Skin can’t breathe, regenerate, heal, thrive or protect itself unless dead skin cells are removed. Papaya and pineapple enzymes gently exfoliate these dead skin cells, dissolving dead skin cells, and then nourishing and healing the skin. All skin types benefit from the use of our R three™ Cleanser and Scrub. R three™ Vitamin C Collagen Serum is amazing. We developed this formulation containing a therapeutic 10% Magnesium Ascorbyl Phosphate concentration of Vitamin C fortified with the addition of 15% Peptides to further stimulate the development of collagen. The Serum also contains special Essential Oils with properties for hydration, antibacterial, cell regenerating, sedating, oil balancing, toning, and increasing circulation. It has additional antioxidants added for even more protection against the damaging effects of the sun and the environment. R three™ Soothing Aloe is a daily nourishing, restorative aloe serum designed to repair capillaries, fade sun damage, heal, deeply moisturizeyour skin, while it accelerates new skin cell growth and protect your skin from future damage with antioxidants. Take a few minutes to peruse our completely re-designed website, read one or more of our informative whitepapers, and then visit our online store. Your skin will be so glad that you did. Osmosis, A-Cute Derm, and Neova Products have been selected to complement Federmal's R three line of products. 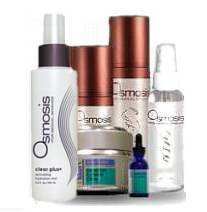 Discover the Osmosis, A-Cute Derm, and Neova product lines to complement Federmal formulations.